For my foreign readers – My new Armenian poem, titled “Every time you smile”(written on August 29, 2014, 23:00 PM) is a about the author’s admiration to his beloved woman. Each time when she smiles he asks himself if he deserves her tender love. Does he really deserve her, her love, her brightful smile which brings spring and flowers. He asks himself whether he deserves to be near her? He describes that her gives him wings to fly but also can destroy him totally. And the authir asks himself again and again whether he deserves that wonderful gift – her love. And he feels very sorry each time when she is sad because of him. The author asks her to forgive him each time when he hurt or offend her. In the end of the poem the author says confidently that the answer to that wuestion whether he deserves her will be not found ever. 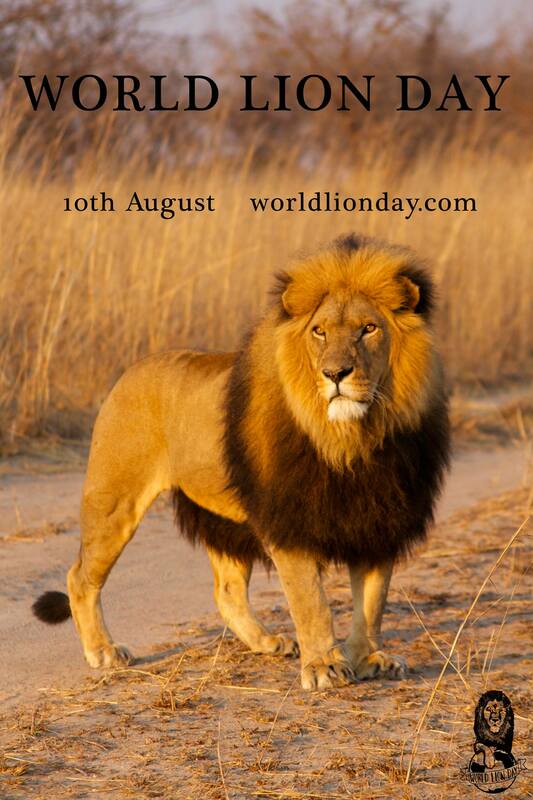 Dear friends, August 10th is the World Lion Day: Saving the King of Beasts let’s save Ourselves. We – Humans, have been killing them for centuries. Today we continue killing them and destroying their habitat. All these photos are taken not centuries ago, but recently. 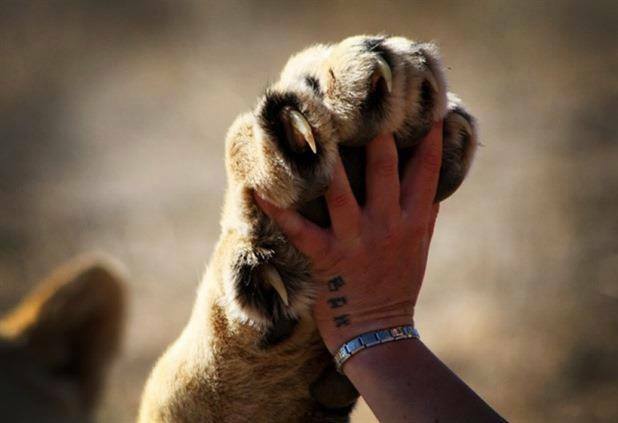 They show both humans’ cruelty and love and care towards lions. Unfortunately many of us continue to remain cruel towards them and towards the whole nature. We must stop this for not lose them forever. Հիշո՞ւմ ես, արդյոք | Do you remember? August 3, 2014 23:04 / 6 Comments on Հիշո՞ւմ ես, արդյոք | Do you remember? For my foreign readers – My new Armenian poem, titled “Do you remember?” (written on August 3, 2014, 22:30 PM) is a love story about a beautiful couple that met in the street, under the rain and the only witness of their tender kiss was the lonely street light on the sidewalk. Even that sidewalk light was shy when these two kissed. 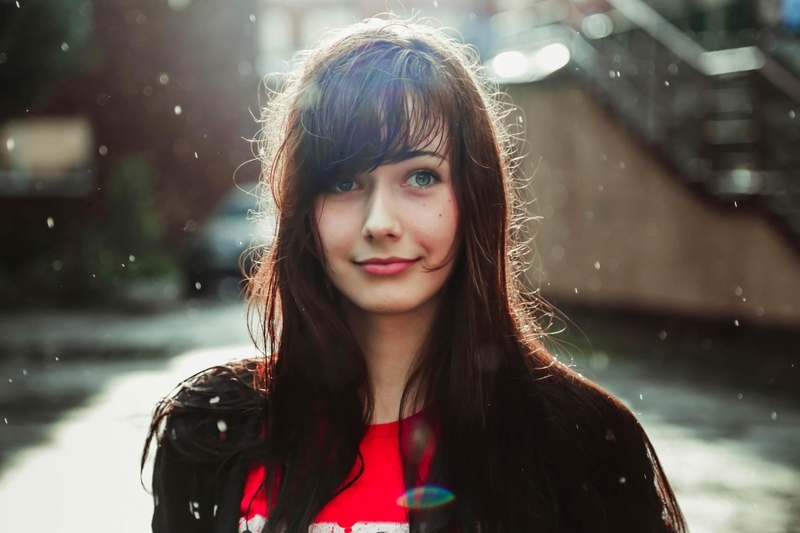 The boy asks if the girl remember their kiss under the rain as well as the feast that came to their eyes when looking at the play of light and shadow in the street. The boy also asks if she remember her promise not to forget their kiss. In the end of the poem the boy tells that the time finished and the evening is gone forever, but she did not appear and he remained there alone, only with the shadows of the past and the lonely street lamp. Dear all, I started to write this poem being inspired with a beautiful song, titled “Historia De Un Amor” and wonderfully performed by Luis Miguel. Enjoy also the music. 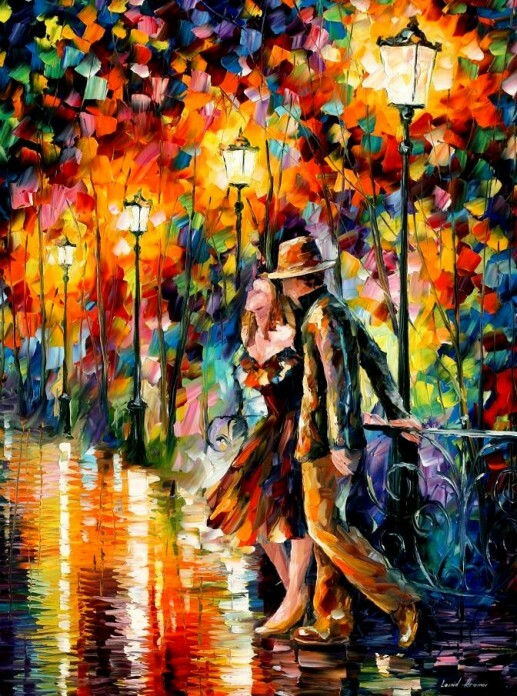 The author of the painting used in this post is very talented artist Leonid Afremov.